As pets, these animals are intelligent, social and friendly. When seeing or thinking of a rat, many people inevitably have a negative reaction. You’ll hear the eeks, the icks, and even a few wordless screams. Yes, wild rats can carry diseases and can cause problems with crops, which can lead to famine, but every animal on the planet has something about it that can make it a “pest.” For example, dogs have been known to kill chickens or sheep. Cats carry salmonella. Even fish can pass diseases like vibrio on to humans. Rats have really been given a bum rap — they are actually quite intelligent animals and perform a vital function in their ecological niche. Not to mention that they actually make pretty neat pets, and here’s why. Grooming doesn’t just consist of licking the fur — rats will even lightly scrape their skin to remove any accumulation of dead skin, dirt or parasites, and then use their teeth to comb their fur back into place. Your work will involve keeping the cage clean. The cleaning schedule depends on how many rats you have in residence and how big the cage is. Usually, you’re looking at cleaning the cage with soap and water once a week and replacing any soiled litter daily. If you smell ammonia (like urine), then you’re waiting too long to clean. These rodents tend to be more resilient than hamsters, gerbils or mice. Wild or domesticated, rats are extremely adaptable. “Rats are incredibly hardy animals who have never shown any problem adjusting to change,” says the Humane Society of the United States (HSUS). This means they’re likely to adapt to many different types of households. 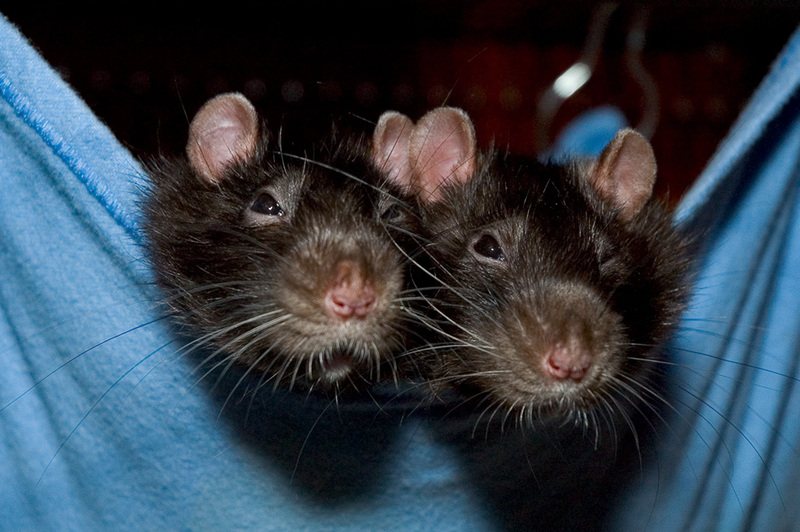 If you have a busy lifestyle but still want a pet, a couple of rats may be a better option for you than a dog. When you have more than 1 rat, they’ll have each other to interact with during the day and be there for you in the evenings. Rats love to socialize; they’re the debutantes of the rodent world. For this reason, it’s a good idea to always have more than 1 rat. They spend a lot of time engaged in grooming and play; according to Ducommum, “No amount of human attention can replace the company of another rat.” Without a fellow rat friend or 2, it’s likely your rat will be lonely. However, this trait makes rats excellent pets. Once they’ve bonded with you, they are going to love spending time with you. Their intelligence and curiosity make them incredibly fun to interact with. Even better, there is very little increase in your workload with 2 rats versus 1. Rats can bond with each individual member of the family and will enjoy being petted and played with once that happens. 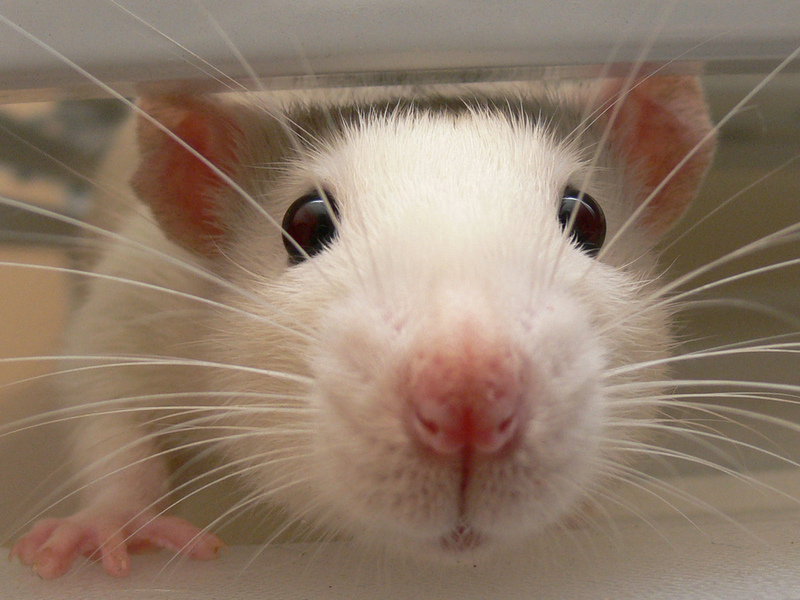 Rats are highly intelligent animals. They can solve puzzles, figure out mazes and even be trained to come to you when you call their name. With little effort, you can set up a fun maze for your rats to run around, or simply include intelligence toys in their cage. “They’re smart enough to learn how to wrestle with your hand and play other interactive games, [like] peek-a-boo, tag, tug-of-war, and hide and seek,” says Ducommum. These rodents can learn just as much as a dog does — but they don’t need to be taken for walks and would do well in an apartment. Be warned, though — their intelligence means that rats are escape artists. Check their cage regularly for signs of tampering and make sure that doors and tops are firmly latched. When properly socialized, children and rats get along very well. Children should be taught how to handle the rats properly and should never be left unsupervised, but once your child understands how to handle these special creatures, your rats will bond with your children too. Because rats do bond so well, they rarely nip or bite once bonded. Rats have a tough reputation to overcome. They’re smart, tough and social creatures who make amazing pets when they’re given the chance. Even wild rats have their place in the ecosystem — as scavengers, they serve to keep the world clean. As pets, they steal our hearts.